The painter has been busy again today, the stair walls have had their first coat of paint along with the banister (which is not finished!). 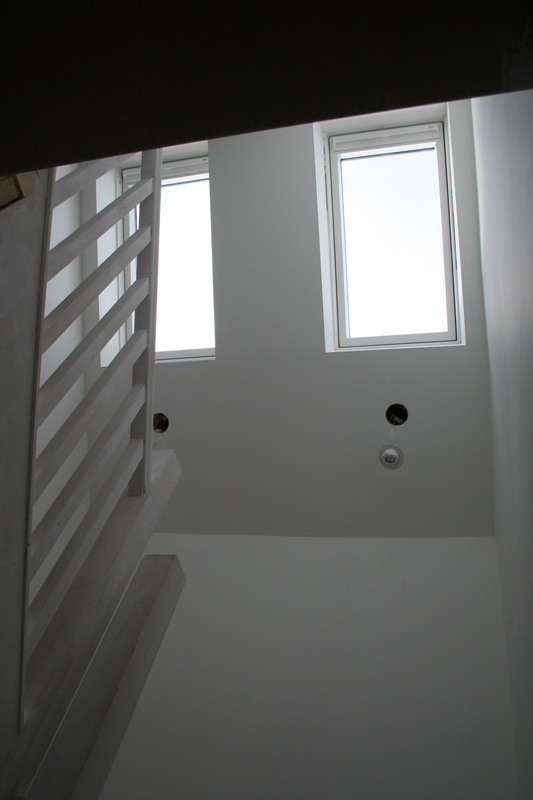 You are being lured into a clean, white, calm world when you look up to the skylights, it is just lovely. Much better than the guddley, dusty mess down the stairs that’s for sure.